KAMPALA – Only adult Ugandans with national Identity cards will be allowed to participate in betting, government has announced. The law, which takes effect on March 1, will also see the intending participant register his telephone number with the betting company. The National Gaming Board Chief Executive Officer, Mr. Edgar Agaba, made the revelation while meeting Jinja District officials on Friday. “Under this arrangement, any person betting will be required to present his or her national identity card or Passport number before being registered into the computer for issuance of a betting receipt. 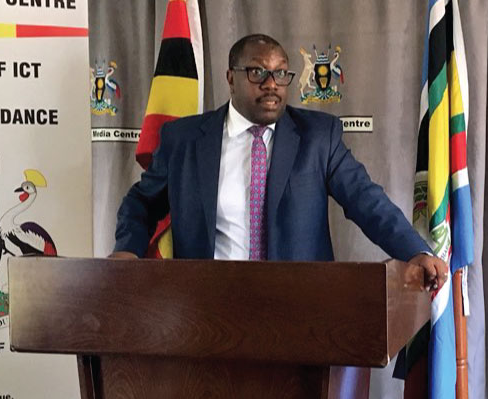 The person’s fully registered mobile number will also first be recorded to prevent children from betting, and all this is in line with the financial intelligence regulation entailed in the Ugandan Constitution,” Mr. Agaba said. Mr. Agaba added that the law also compels a person to reveal the source of funding for the money being used in any business, a move he added is meant to fight money laundering in the country. According to Mr. Agaba, anybody below the age of 25 years will not be allowed to bet; and to enforce this directive, the age of those involved in betting will have to be registered before they proceed to bet. He added that Local Governments with betting centres in town councils all over the country are being brought on board for easy implementation of the regulations set by government while those on the semi-urban peripheries will be shut down. ‘’We are signing a memorandum of understanding with these local Governments to help us monitor their activities in the area and we shall always consult them when renewing their licenses,’’ he said. He, however, warned that companies which will not comply will have their licenses revoked and premises closed indefinitely. This development follows a January proclamation by the State Minister of Planning, Mr. David Bahati that President Museveni had ordered government not to register new sports betting companies or renew licenses for the existing ones upon expiry. Mr. Bahati said the government will determine the number of betting companies and where they will operate in a new regulatory regime, all aimed at protecting youth from the effects of betting.